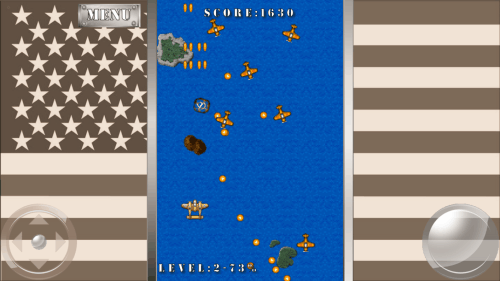 Pacific Wings game app for Windows 8 is the Windows 8 version of classic game Flying Shark or Sky Shark. This is a retro looking vertical scrolling airplane game in which you have to fly your airplane and kill enemy planes. You have to shoot at enemy planes to shoot them. At the same time, the enemy planes are also shooting at you and you need to escape their bullets. This is a very simple looking game, that is not so simple to play. The difficultly will increase quickly, and soon planes and their bullets will be coming from all side. Not only you have to kill the planes, the more difficult task is to escape their bullets. I had played similar game on my Atari system a few decades back. It was lot of fun playing that game with game controllers. Playing this game on Windows 8 got the old memories back. The gameplay is completely similar to the original retro game. In this game, you fly a fighter plane through enemy territory. While flying, enemy planes will be coming from opposite side. You need to shoot them down with bullets. They will also fire at you and you need to escape their bullets. Some of the enemy plans carry extra powers as well that you can take by shooting at them and then picking the powers. The game is a vertically scrolling game which keeps scrolling endlessly. You can move sideways, and forward / backward. 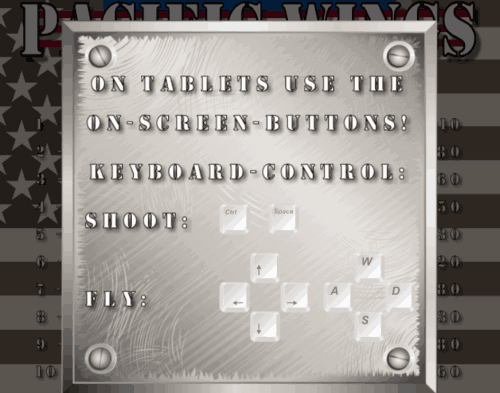 The game can be played with keyboard on a PC and screen controls on a tablet. This game is available in Games category of Windows 8. The download size is just 13 MB. You can download this game using the link given at the end of this review. The game will install quickly. You do not need to sign-up with the game, though, the game will ask your name once the game completes to keep a record of your scores. Also check out Breakout game for Windows 8. The game can be easily played by keyboard on a Windows 8 PC. Use arrow keys to move in corresponding direction. Use spacebar to fire bullets. You have endless bullets, so you can just keep firing constantly. You can also use alternate controls of keys ADSW to move, and Ctrl key to shoot bullets. In addition to keyboard controls, the game shows screen controls as well. However, screen controls are meant for tablet use only. Direction controls are on left side and firing control is on right side. I am assuming it would be lot of fun to be playing this game on tablet as well, while holding tablet in both the hands and using these controls. The game is quite easy to understand. When you start the game, you will see your plane. Suddenly, enemy planes will start coming from opposite end. Fire bullets at them, as well as escape from their bullets. Use keyboard controls to navigate the plane, as well as fire. At the bottom of the game, you will be able to see percentage of the level that you have completed. Once your percentage reaches 100%, you will move on to next level. As the levels increase, the game difficulty also increases. In fact, the enemy planes start coming from behind you as well! I had played similar game during my childhood a lot, so I thoroughly enjoyed playing this game again. It might not appeal to those who are used to more fast paced games like Asphalt 8: Airborne or Skiing Fred. But if you have played a similar game in your earlier days too, you are sure to enjoy this Windows 8 version of that game. 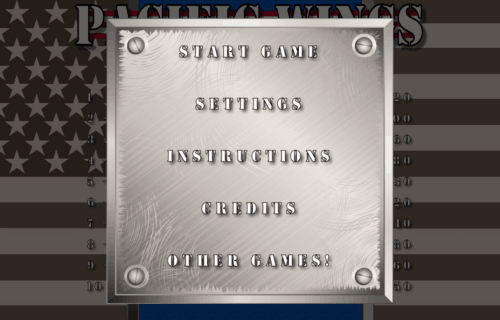 Get Pacific Wings for Windows 8 here.